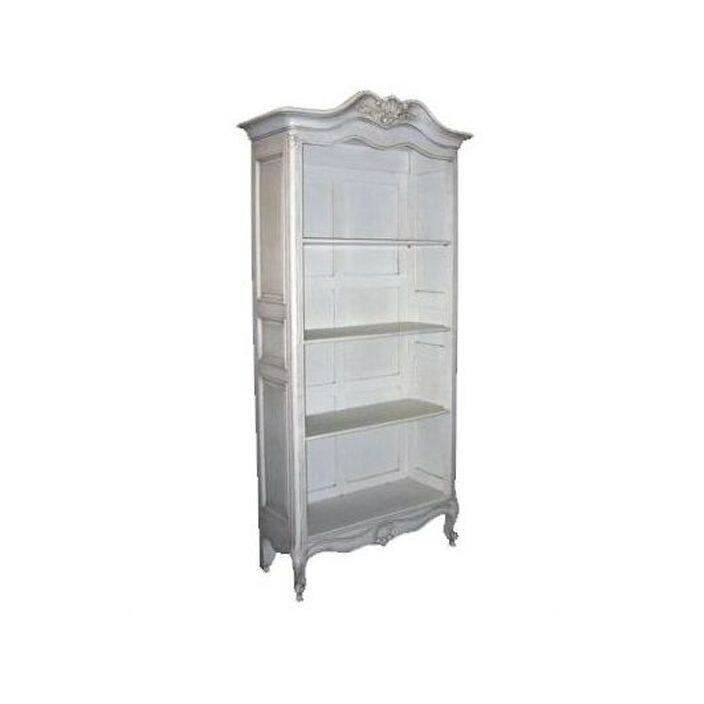 We proudly present to you this exceptional Antique French Bookcase, hand carved in a stunning white finish. Invite a touch of elegance into your home with this Bookcase from our award-winning antique french painted dining collection. This Bookcase has an exquisite antique french finish, delicate wood carvings and smooth curves to help you can achieve that french farmhouse look.